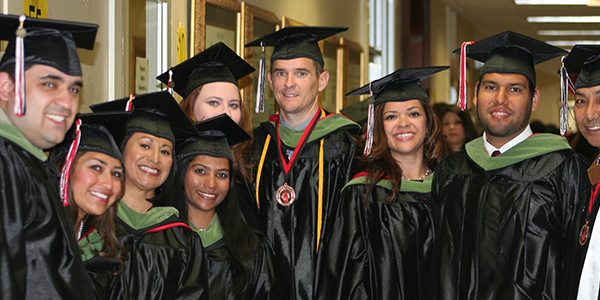 "The UIW MHA - Values-based, Competency-driven, Experientially-focused"
The mission of the master in health administration program is to educate and develop early career healthcare leaders who are able to positively impact the wellness of the communities they serve. The program focuses on preparing individuals to serve in public, private and federal healthcare settings including hospitals, integrated delivery systems, medical groups, and insurance providers. Delivered in an evening, cohort-based format, the program offers the opportunity for both working and non-working students to complete their degree in less than two years. Values-based. As part of a faith based institution, the program provides a values-based, education that seeks to develop healthcare leaders who are effective collaborators motivated by a spirit of commitment to the healthcare profession and a genuine compassion for others. Competency-driven. Using a curriculum built upon a nationally recognized and locally approved competency model, the program strives to produce complex thinkers who are able to conceptualize, critically analyze and compellingly communicate toward a course of action that is in the best interests of those they serve. Experientially-focused. Program curriculum is delivered by faculty with extensive healthcare management experience who seek to provide students multiple opportunities to develop and apply program competencies in simulated and actual workplace settings. All students graduate from the program with appropriate and relevant health management experience. To be the preeminent education program in health administration for developing leaders capable of transformative response to a continuously evolving healthcare environment—positively shaping and impacting the health of the communities they serve. The Program seeks to develop students with strong moral character and an unwavering commitment to honesty in all actions. Program excellence is measured by our student’s ability to make a significant and lasting contribution to the profession of healthcare management. The Program is committed to educational excellence in a context of faith in Jesus Christ, the Incarnate Word of God. The Program curriculum includes a global perspective and an emphasis on social justice and community service. The Program is open to thoughtful innovation that serves ever more effectively the spiritual and material requirements of those in need. The faculty and students support one another in the search for and the communication of truth. The Program aims to educate men and women who will become concerned and enlightened citizens who seek to make a difference in the healthcare management profession.